Olive oil is an integral part of Spanish cooking and has been since the Phoenicians and Greeks introduced the olive tree to the Iberian Peninsula in ancient times. The Romans continued to cultivate olives and improved the oil production technologies. Olive oil from the Peninsula was considered of very high quality and was in demand in Rome, as well as other parts of the Empire. The Moors then improved further on the cultivation of olives and the oil production. The Spanish word for oil is aceite which originates from the Arabic word al-zait, meaning “olive juice”. There are different varieties of olives and olive oil, as well as differing grades or quality of olive oil. The European Community, which Spain is a member of, now regulates the grading of olive oil, protecting the consumer from buying an inferior grade of oil for an inflated price! The acidity level of the oil refers to the amount or percentage of oleic acid. How does the acidity come about? If the olives fall from the tree and burst open on the ground, it can occur through the process of oxidation. It can also take place if the olives are stored too long before pressing. The lower the percentage of acid, the better the oil and more fruity the taste. There are four types of virgin olive oil – Extra Virgin, Virgin, Ordinary Virgin and Lampante Virgin. The EU laws that regulate olive oil grades state that olives should be harvested and processed naturally, without using any sort of processes, especially thermal processes, which alter the oil. Processes that are permitted are: washing, decanting, centrifuging and filtering. Olive oils labeled Virgin cannot include oils obtained by using solvents and do not permit mixing it with oils that have different characteristics. 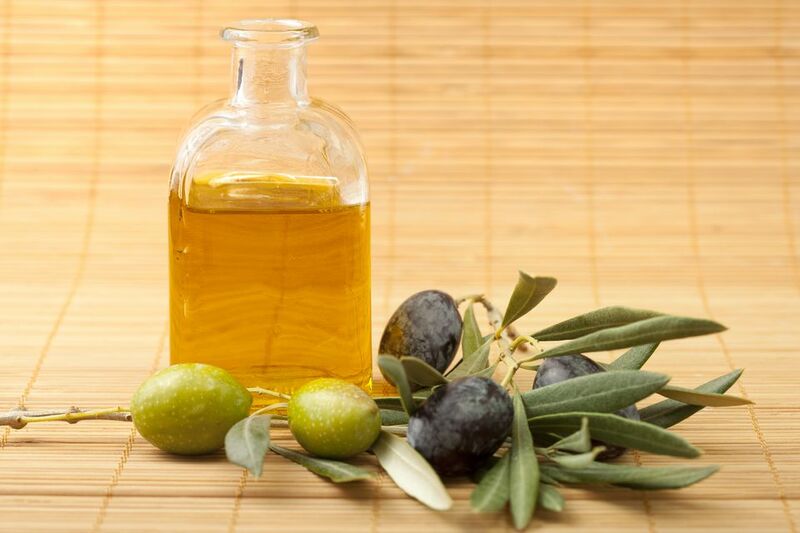 We recommend that you purchase either Extra Virgin or Virgin Olive Oil and not any type that is refined or blended. Ordinary Virgin and Lampante are names that you probably will NOT see on your supermarket shelves, but they may be used in blended oils. For more information on what to look for on Spanish olive oil labels, read Tips on Buying Spanish Olive Oil. Virgin Olive Oil - Virgin olive oil can have an acidity of no more than 2%. Ordinary Virgin Olive Oil – Ordinary Virgin olive oil can have an acidity of no more than 3.3%. Only sold in Spain to wholesalers. Lampante Virgin Olive Oil – Like Ordinary Virgin olive oil, Lampante Virgin Olive Oil can have an acidity of no more than 3.3%. This type of oil is only sold in Spain to wholesalers. It is made from olive oil that for one reason or another either has a high acidity level or an undesirable flavor or aroma. Therefore, to correct the problem with the oil, it is put through a refining process. Refined Olive Oil is made by refining Lampante oils. Once it is refined, it has no aroma or flavor and it is not marketed in Spain. After you purchase olive oil, store it in a cool, dry, dark place. Do not store your olive oil near the stove or oven or it will turn rancid very quickly. Light has a very damaging to olive oil as well, so it is best to keep it in a cabinet, not on the counter. It should be used within a year of being produced because it starts to lose flavor and nutritional value.